Comedian. Television host. Movie Star. Top-rated syndicated Radio Personality. Father of 6. For over 20 years. Rickey Smiley is one of the most beloved performers in American media, earning a reputation for delivering boundless laughter on-air, on-stage, and on-screen. Every morning, millions of Americans in nearly 60 cities listen to Rickey Smiley and his 6 outrageous cast members on "The Rickey Smiley Morning Show." His interviews with major celebrities, social political awareness and trademark prank phone calls have made Smiley one of the most listened to radio personalities in history. Rickey Smiley's down home southern humor, opting to use insight rather than vulgarity to get laughs, is at the core of his success. His audiences are treated to such original characters as "Mrs. Bernice Jenkins", "Lil' Darrl," "Joe Willie" and "Beauford." Smiley is known for his clean comedic style and his reputation to sell out venues across the country. To movie audiences, Smiley is best known for "All About The Benjamins" and "Friday After Next". 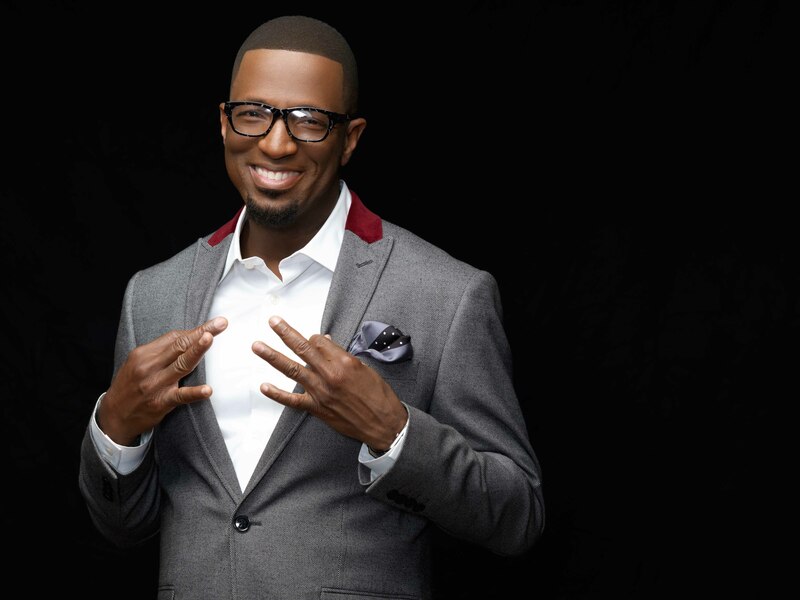 He's recorded 8 best selling CDs including iTunes #1 Best Selling Comedy Album, "Rickey Smiley- Prank Calls Number 6". On television he"s hosted BET's "Open Casket Sharp" and "Comic View", appeared on "Showtime At The Apollo," "Uptown Comedy Club", HBO's "Def Comedy Jam"and "Snaps". Smiley graduated from Alabama State University, became KBFB's (Dallas) morning show personality in 2004, and soon moved his show to WHTA Atlanta. When not performing, Smiley is the ultimate devoted father, single handedly raising 6 kids, the subject of a soon to be released parenting book. QUOTE: "Success is when preparation meets opportunity"
Tamron Hall's baby is finally here! Congrats to the well-paid Wilsons! Coachella is officially underway and it’s come with a bunch of shout outs to the late Nipsey Hussle. Morehouse College has just put a groundbreaking policy in place that will allow transgender men to attend their institution. Monique is embracing all of her gray strands and loving it in a new photo on Instagram. Yara Shahidi's been busy filming and promoting projects but she’s still got time to be a great big sister. Another artist is taking care of their mental health following a rough period. Nene Leakes’ husband Gregg on the mend! It’s been a while but Lil Kim hasn't missed a beat.